When a patient comes in with hip pain, we obtain the history of the symptoms: what caused it? When did it start? How long has it been going on? What aggravates it? Is it sitting? Is it hiking? Is it standing? Is it jogging? Is it turning the leg a certain way? etc; and then we examine the patient. We look at range of motion of the knee, hip flexion and extension, gait patterns, such as: do you walk normally? Are you limping? Are you pushing your hip down or are you swinging it around? And is there good muscle strength? After the examination, and after we have narrowed down the possible causes, we perform imaging studies. Imaging in the twenty-first century includes specialized x-rays with very low-dose radiation and examines the entire body in a three-dimensional manner (called an EOS machine). In addition to x-rays, we may acquire MRIs, CAT scans, and ultrasounds. These assist in determining a diagnosis and a treatment plan. 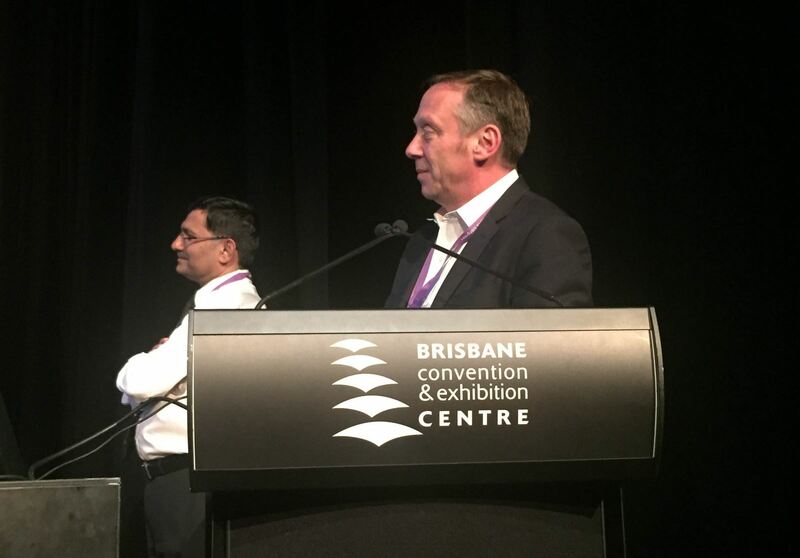 Dr. Feldman presenting on hip reconstruction at ASAMI-BR in Brisbane, Australia 2016. Saving young hips up to age 40 for hip dysplasia, Perthes disease, and severe hip problems in young patients. Excellent outcomes! Most hip problems do not require surgical correction. In some cases, the patient may have an acutely torn labrum, which may be an indication for an injection. Various materials, such as plasma rich proteins (PRPs) or stem cells may be taken from the patient's blood or bone marrow and injected into the hip joint to help stabilize the labrum and help it heal. We also use a minimally invasive procedure called a hip arthroscopy. In this procedure, tiny incisions are made and a camera inserted into the hip to visualize the joint. Often, we can repair the labrum during this procedure. This is a minor outpatient surgery, and the patient goes home the same day, usually with crutches for a few weeks before returning to normal activity. Some cases may require more extensive surgical interventions. 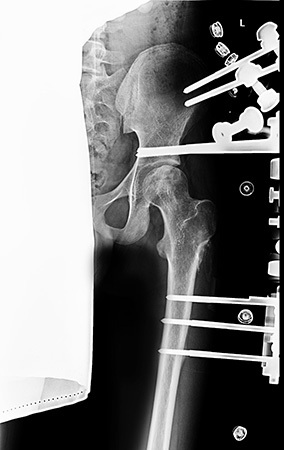 Some examples of the procedures we perform include a femoral osteotomy, which is a surgical bone cut of the femur to realign the joint; dislocation of the hip joint, a procedure known as safe surgical dislocation with or without reshaping the femoral head; core decompression, a method of drilling into the femoral head to restore blood supply; and reorientation of the pelvis with a pelvic osteotomy. There are many types of osteotomies, ranging from simple to the more complex periacetabular osteotomy (PAO). Dr. Feldman has performed hundreds of PAOs with outstanding results and improved function for patients with hip dysplasia. We also perform a procedure called arthrodiastasis, in which an external fixator is placed on the hip to remove pressure on the joint and allow it to heal in a certain way. Dr. Feldman has designed techniques for hip distraction and this is now being used for difficult cases of Perthes disease and avascular necrosis (AVN) of the hip. The most important decision to be made in seeking treatment for hip pain is ensuring that your physician knows how to perform all of the above procedures, and more importantly, knows when and why to perform each procedure. 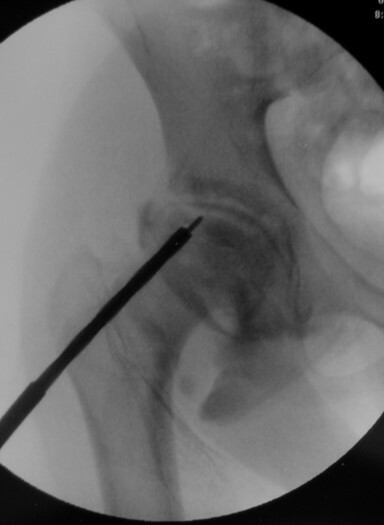 So whether you have hip dysplasia, avascular necrosis of the hip, Perthes disease, congenital dislocation of the hip, slipped capital femoral epiphysis, congenital femoral deficiency, etc., treatment varies and different techniques may be necessary. It is important that your surgeon is familiar and facile with all of these conditions and the specific treatment approaches necessary to achieve the best possible outcome. We have had outstanding results with this approach in a disease that typically has poor outcomes in other centers. In each of our cases, whether the surgery performed is a distraction arthroplasty, a periacetabular osteotomy, or an arthroscopy, we approach each patient on a case-by-case basis, offering an individualized approach, with the goal of returning the patient to normal activities free of pain.